When the still-developing Learjet 85 joins its forebears, its designers expect it will continue Bill Lear’s vision of creating a beautiful aircraft that outperforms the competition. This month Bombardier commemorates the 50th anniversary of the Learjet’s first flight even as the company struggles to launch a larger new flagship, the Model 85, and switch to composite airframe construction. Since 1963, Learjet has become one of the world’s most iconic brands, often generically misused to describe any make/model of private jet, and a conspicuous sign of affluence. Early Learjet owners included crooner Frank Sinatra and industrialist Louise Timken, and their aircraft were a far cry from the comfortable cabins of today. From 1965 to 1967, Sinatra’s Learjet 23, tail number N175FS, racked up 1,500 hours transporting him, his famous Rat Pack and a host of other showbiz friends, including Elvis, to movie locales, wild times in Las Vegas and the sanctuary of Palm Springs, Calif. The Lear was not Sinatra’s first airplane, nor would it be his last; but it was his most notorious. This was the airplane the then 51-year-old Sinatra used to squire actress Mia Farrow on their globetrotting, whirlwind romance. It doubled as the designated escape vehicle to get out of town fast after a night of overindulgence and fisticuffs. Sinatra was just the type of customer Bill Lear loved. When Lear created the Learjet in the early 1960s, he envisioned a small, fast and simple airplane, a concept the marketplace embraced. His 20-series and the slightly elongated 30-series that followed sold briskly for more than 20 years, until long after he had left the company. Riding in the back of a Learjet once meant trips to the chiropractor and exercising bladder control, suffering and even trading a certain amount of dignity for the ultimate in aviation cool: speed. In those days you didn’t fly in a Learjet, you wore it. Lear never made it past the seventh grade and blissfully led his life–both personal and professional–unconstrained by convention. He invented the car radio, stereo 8-track tape system, the automatic aircraft direction finder, autopilot, aircraft automatic landing system, and many other innovations, including the design that became the Canadair Challenger, a large corporate jet that gave birth to the regional jet industry. All told, Lear held nearly 200 patents for everything from radio coils to steam-powered buses. He made and lost several fortunes along the way, was a notorious philanderer who married four times and had seven children. His mercurial personality sometimes made him hard to work with, but on the flip side he was a master showman who cultivated the rich and famous. Lear first came to the idea of the Learjet while living in Switzerland in the late 1950s, his son told AIN in 2007. The aircraft, contrary to popular belief, was not based on the cancelled Swiss P-16 fighter, although Lear took some inspiration from it including using a similar airfoil design. The aircraft was originally designed as the Swiss American Aircraft Co. Model 23, but Lear quickly changed the name to Lear Jet and moved the company to Wichita, where it remains today. He took big risks during the development of the Model 23, including skipping construction of a production prototype on soft tooling. He fed his perpetually struggling company with investor money and funds from the stereo 8-track tape player he had developed for automobiles. Lear did not compromise when it came to the 23’s performance, and for some pilots the airplane was simply too hot to handle. “The takeoff and landing speeds were like [those of] fighters,” recalls aerodynamicist James Raisbeck, whose company offers Learjet modifications. “The stall speed was 120 knots and when it stalled [the airplane] would roll suddenly.” Several design changes tamed some of these tendencies in the follow-on Models 24, 25, 28 and 29, but 20-series Lears retain a deserved reputation for demanding much of their pilots. Lear sold his 60-percent share of Learjet in 1967 for $27 million to the Gates Rubber Co. Under Gates, Learjet would launch one of its most popular models, the 35, and one of its most criticized, the 55. The 35 was basically a reworked Model 25 refitted with new Garrett TFE731-2 turbofans that gave the aircraft more range and much better fuel consumption than the fuel-ravenous straight-pipe GE CJ610 turbojets on previous models. When introduced in 1974 it was an instant hit and during its nearly 20-year production run 737 were built. Maximum range increased to 2,150 nm. By 1975 more than 500 Learjets were in service and by 1976 the company was producing more than 120 a year from plants in Wichita and Tucson. Learjet dominated the light jet space and in 1977 would begin work on a medium jet that would become the Learjet 55. By then, Gates had begun branching into other aerospace endeavors and would eventually become a parts supplier to the Space Shuttle engine program. The company was seriously stretched and by the time the Model 55 hit the market in 1983, it had devolved into a series of compromises that did not play well together. The 55 mated the wing of the short-lived Learjet Model 28/29 Longhorn with an expanded Model 35 fuselage. The conglomeration yielded a 70-inch-tall “stand-up” cabin, but it was basically a parts airplane as opposed to a clean-sheet-of-paper design. The brakes and tires were too small and the engines needed more puff. As a result, the 55 could be a runway hog, especially in hot temperatures, and stopping on short pavement without thrust reversers was an adventure. Over the course of seven years, only 147 were sold. Gates Learjet shuttered production between 1984 and 1986 to sell down inventories and devote more resources to its aerospace division. By the time production was restarted in 1987, it was clear the company was in serious trouble and it was sold later that year to a venture called Integrated Acquisition, itself an underfunded venture, and rebranded as Learjet Corp.
Learjet Corp. did manage to launch one new design, the Model 31, in 1988. Like the 55, the 31 was basically a parts airplane, cobbling together the fuselage of the Model 35/36 with the Longhorn wing. Unlike the 55, this combination seemed to work. The 31 honored the pocket-rocket and Procrustean cabin legacy of the 1960s 20-series Lears. Great performance, but Spartan passenger amenities: No galley, no lav and not much luggage space. Over the course of its 14-year production run, 262 were built. But early serial-number 31s had antique features including analog avionics and alcohol windshield de-ice, a testament to what was happening at Learjet Corp.: it was running out of cash. In 1990 Canada’s Bombardier swooped in to pick up the parts and pieces. For Bombardier, it seemed a natural fit. The company was already familiar with Bill Lear’s work through its previous acquisition of state-owned Canadair, then maker of the Challenger line of business jets, a design initially developed by Lear himself as the LearStar 600 before his death in 1978. The first order of business was to fix the 31 and the 55, before Learjet lost any more market share to Cessna and, to a lesser extent, Raytheon. In 1991 it launched revised versions of both, the Models 31A and 60. The 31A remained in production until 2002 and featured improvements, including electric windshield de-ice and a digital Bendix/King avionics suite that has stood the test of time. A year 2000 block change further improved the aircraft by adding Fadec controls to the engines, two-zone climate controls and increased takeoff and landing weights. Also introduced in 1991, the new Model 60 gave the 55 a 43-inch fuselage stretch, better brakes, engines, aerodynamic refinements and Rockwell Collins Pro Line 4 avionics. It climbed like a rocket and was sure-footed on the runway. The aircraft proved popular in the marketplace and sold 427 copies during a production run that spanned from 1993 to last year through several block changes, including the SE and XR. 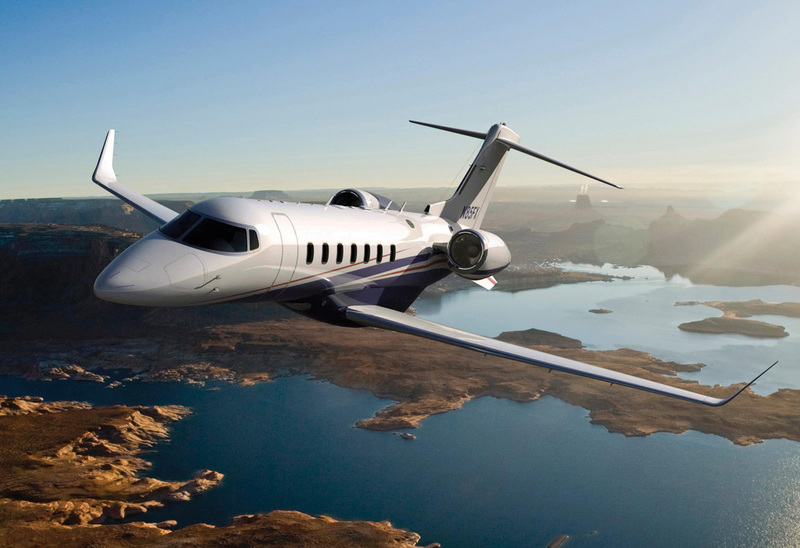 While shoring up the existing product line, Bombardier realized it needed to go on the attack if it were to successfully rebuild the Learjet brand by offering a “category killer” aimed straight at Cessna. The Learjet 45 was that vehicle. Announced in 1992, the 45 featured midsize performance and cabin comfort mated to light-jet operating economics. However, Bombardier stumbled badly in bringing the airplane to market, missing program milestone deadlines and promised delivery dates. The first airplanes did not reach customers until 1998, and when they did there were problems beyond the usual teething pains associated with low serial numbers. The nadir came in 2003, when the FAA grounded the entire Learjet 45 fleet for a month while Bombardier fashioned a solution to a defective screw-and-nut assembly in the horizontal stabilizer that could lead to loss of aircraft control. Since then, things have been on the upswing for the brand, with Bombardier certifying the shorter Model 40, in 2004, and both models undergoing several block changes and improvements including those associated with rebranding both as the Models 70 and 75, deliveries of which are slated to begin in earnest next year. The 70 and 75 feature new Garmin G5000 avionics, tweaked engines, revised winglets and restyled interiors and sell for $11.1 million and $13.55 million, respectively. Problems with the Garmin G5000 avionics have delayed these airplanes’ entry into service. While that difficulty is not insubstantial, it pales to the learning curve Learjet faces on the all-composite Model 85, the aircraft poised to become the brand’s new flagship in a new niche between midsize and super-midsize. It also likely will provide the foundation for follow-on aircraft for decades to come. Transitioning from a metal airplane company to a composite one is never an easy journey, and Learjet does not seem immune to the pitfalls that others have encountered on this route. Not surprisingly, the program is behind schedule. Originally, Learjet envisioned completing the 85’s flight-test program this year; however, as of mid-September the aircraft had yet to fly. Even Bombardier’s revised prediction in February that customer deliveries will begin in next year’s third quarter now seems overly optimistic.